During every new student admissions interview I facilitate, the importance of the three‐pronged alliance necessary for student success is emphasized. 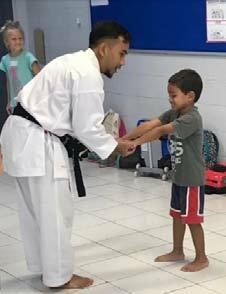 The partnership is between the student, the parents, and the school. Through strong partnership this year, the secondary school has accomplished a great deal and we can celebrate together and give thanks to God for all He has done to bless our community. The following is a highlight reel of the outstanding accomplishments of first semester. The secondary school implemented a new assessment system emphasizing student learning through the use of summative assessments and separating non‐academic behaviors from final grades. The athletic department created the Bandung Activities Conference including CBCS, Trimulia, BIS, Stamford, and BAIS for future collaboration and events. Soccer, basketball, and badminton will now have a regular season and end‐of‐season tournament for student‐athletes. The school has hosted evening events for parents including an information session led by alumni Ricky Toh (Stanford) and Diana Park (UC Davis), herpetologist and snake expert, Ron Lilley, and nuclear engineer and commercial salmon fisherman, Paul Kendall. The school leveraged its National Honor Society membership to offer four morning webinars related to the college admission processes, college admissions essays, the FAFSA, and interviews. The second season of after‐school activities included 28 different activities for students to join bolstering BAIS’ effort of educating the whole child. Students, parents, teachers, and staff joined the education expo at Paris Van Java and the two open houses to celebrate BAIS and to boost student enrollment for next year. Students participated in two Prospective Parent Q&A sessions explaining what it is like to be a student at BAIS. Fun was had by all who attended the mini‐concert hosted by Ms. SunHee Kim. A new Week Without Walls activity has been added for March. If you are secondary student interested in attending the Pangandaran trip, see Ms. Christensen. PTC’s were relocated to classrooms to increase effectiveness. New English Language Arts curriculum has been implemented to better meet student needs and to increase student achievement. A standardized spiritual assessment tool was implemented to better measure our students’ spiritual growth. The list is long! During this season of busyness and as we prepare our hearts for Emmanuel, “God with us,” I praise Him that we, in unity, can grow together in partnership making BAIS a special place where God and our students are the center. Jeremy J. Thomas, MS. Ed. 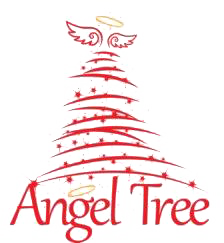 This year the entire secondary student body participated in the Angel Tree program to give gifts for the children, youth, and workers of Permata Bali Children’s Home. The Chaplain Society was instrumental in facilitating this participation; we would like to say a big thank you to all the student leaders of ChapSo! Many of you contributed personally as well‐‐ may God bless you for your kindness and generosity! money to help with shipping and further needs at the Home. If you’ve promised to bring a gift and haven’t brought it yet to Ms D, or if you would still like to donate to Permata Bali Children’s Home, it is not too late! Gifts will be sent this coming week. Please see Ms. Dickman for more details. No practice on Wed, Dec 12. The next practice is Wednesday, Jan 9. The Face the Facts Finals will be held in the MPR from 10:35‐11:25 on Thursday, Dec.13th to determine this semester’s math fact champion from Upper Elementary and Lower Elementary. Parents are invited to attend! BAIS basketball game Tuesday, Dec. 11 at CBCS. Girls start at 4; boys follow. Paul 21pts (68% FT); Ezra 12pts; Rio 6pts; Jake and Sandor 3pts each. Emily and Rachel each scored 2 points; Beltra landed one free throw. Ezra 13pts; Paul 9pts; GyeongMin 6pts; Kai 3pts; Kris and Clifford each scored 2pts. Rachel scored the team’s four points. No practice from Dec. 12‐14. 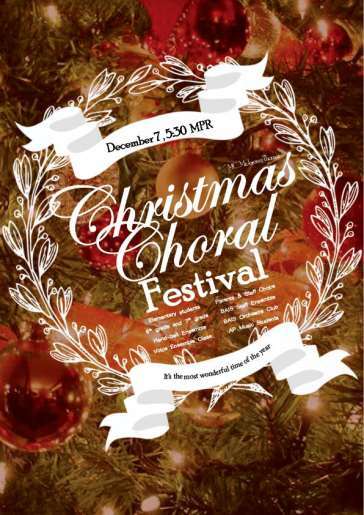 No After School Activities TODAY because of the Christmas bazaar. No After School Activities next Thursday or Friday, Dec. 13‐14. 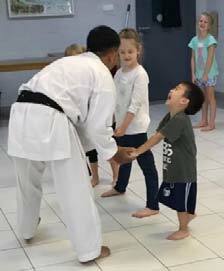 Crissy in Pre‐K said, “I like karate a little bit.” When asked why, she said, “I only like screaming in my house but I have to scream in karate.” She also said she likes her sensei but that “he makes us reach down and touch our legs for like ten minute!” Mish, also in Pre‐K, says he likes karate “because we do fun stuff like CHOP! CHOP! KARATE CHOP!! !” –His response was accompanied with multiple visual aids. I am writing to tell you that I am leaving BAIS and this month will be my last after 11 years of dedication to this school. I appreciate God for all my days here, and appreciate every single thing that you have done for me, have given me, but mostly for your prayers for me and my family. You all have really blessed me and brighten my days. I will pursue my dream at a local Company near Cimahi/ Lembang. Thanks so much for all your kindness and, as an Indonesian tradition before leaving a place for good, I humbly ask for your forgiveness for everything I have done. May this following year be a good year for you all in your walk with God and to serve people. We are all going to miss Ibu Retno and her welcoming and smiling face in the morning, as well as her contributions to our community ‐ most notably investing in our students through music. Please be sure to thank her for her time and ministry here before she leaves. The BAIS chapter of the National Honor Society is now accepting applications for membership. NHS is a national organization based in America that recognizes high achieving students in grades 10‐12. Please see Mrs. Nielsen for more detailed information. The due date for completed applications is January 11, 2019.
in which this character is the hero. What to do? What to do? How am I going to house the Oompa‐Loompas? I need to build more space. But I need the space before the Oompa‐Loompas can come. Can I trust people again? Joe Bucket lived a simple life. At twenty‐six years, Joe was a recently married construction worker for the Adams Construction Company. One day as Joe was coming into work, there was a strange man standing at the entrance of the building where Joe clocked in. As Joe approached the entrance and the man, Joe started noticing very interesting details about him. This man was wearing a bright purple pant suit with a top hat and cane of the same peculiar purple color. He also seemed to be staring straight at every person who walked through the door, as if to discern everything about them in the second they passed him. Later that day, Joe and several of his coworkers were called into the main office and told they were to be assigned to a special project. Their boss gestured to the door and in came the man in the purple suit. “Hello, my name is Willy Wonka and I have decided you all are going to come work for me immediately to build oompa‐loompa quarters. I’ll wait for you all outside, ” the man in the purple proclaimed. Their boss explained that Mr. Wonka had come to him and asked to hand pick the workers he wanted for his project, although he would not disclose all the details of the project. Joe did not quite understand yet, but when he was given the details about the assignment, such as the pay and work hours, he and his fellow coworkers agreed to do the job. Although the exact details were still yet to be determined, it seemed like a good opportunity to make a little extra cash. “Now, I am not going to give you all the details because I have had much trouble with spies lately, but I chose all of you because of your trustworthiness and the fact that you have no reason to steal my secrets. Therefore, you will need to do what I say, no questions asked. I run a chocolate factory, and I need you all to help me expand it and build quarters for my new workers, since I had to do away with the human ones,” Mr. Wonka explained brightly. Joe still suffering from whiplash from how his day had turned around so completely was slightly miffed about the instructions as he worked better knowing all the details but held his tongue for the moment, although he didn’t know how long he could hold it. When they got to the chocolate factory and Mr. Wonka showed them some of the blueprints for waterfalls and cacao bean plantations all to be built underneath the existing factory, Joe and his fellow coworkers didn’t know how this was going to work, and they all began peppering Mr. Wonka with questions about “How they were going to do this;” “Where are we going to get machinery for this;” and “Why in the world would you want a cacao bean plantation inside your factory?” Mr. Wonka simply waited until they finished, then continued explaining the plans. One day when he came into work, Mr. Wonka told them that they were going to build four‐story long pipes today. This is where Joe couldn’t take it anymore and he gave Willy Wonka a piece of his mind. “Mr. Wonka, what in the world are you going to do with four‐story long pipes. For Pete’s sake, you are running a chocolate factory and I have never seen a chocolate factory use four‐story long pipes or three‐foot long beds or two feet high tables or waterfalls or cacao bean plantations!” Joe spouted, all red‐faced an angry. His fellow coworkers backed him up and added to the chaos. Mr. Wonka simply banged his cane twice and told Joe to meet him somewhere over there. Joe went but reluctantly. The anger was still churning inside him, but he was also starting to feel a little guilty. When he got there, Mr. Wonka asked him why doesn’t he trust him, and Joe told him that this job has been particularly hard for him because he works better when he know what it looks like in the end, but so far all they have been working on is bits and pieces. Mr. Wonka nodded along, but when Joe had finished, he simply said, “Trust me it will all work out. If you do what I tell you now, you will see the end product is worth it.” Joe had expected him to tell him the rest of the plans, but he realized that Mr. Wonka simply was not going to tell and Joe went back to work. He knew quitting was irresponsible and childish, so he stuck with it and in a few months he began to see it all working together. All of his coworkers began feeling the same way and seeing the same things beginning to work together. As they finished out Mr. Wonka’s “special project,” Mr. Wonka said, “I told you so.” And as Joe Bucket left the Willy Wonka chocolate factory for the last time, Mr. Wonka patted him on the back, “I hope I see you again Joe, you were a good worker. Thank‐you for trusting me,” he smiled and turned around and went back inside. Through the communication and coordination of PACE, BAIS parents have clear and frequent communication from BAIS passed along and relayed to many groups of parents, staff classroom needs are met, and a very generous year-end staff celebration is appreciated by BAIS. PACE has given funds raised to enhance campus projects ‐ in the upcoming year the elementary playground will get an upgrade. Thanks to the leadership and efforts of Deborah Gunthorpe and Ibu Fifi, PACE has made a positive impact on the experience for parents at BAIS. 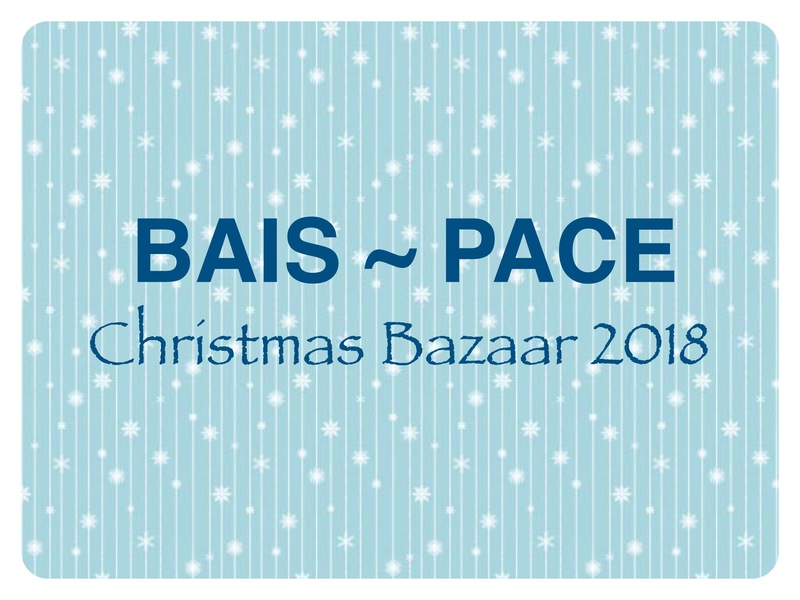 Please enjoy the Christmas Bazaar organized by PACE today at 2.45 pm, we are so thankful for this event and the festive and family‐like atmosphere!